When a person did their best, do not scold them for failure. I believe this is an important motto to follow in life because failure is often a prerequisite for success. We should not fear failure of anything because failure is a negative form of faith. We bring into being the things that we have faith in and focus on—the good and the bad. The things that we fear, we bring into existence. So focus not on what you fear, focus on what you desire in life. Approach your life with courage and watch your blessings unfold. You will be amazed at what you can accomplish in this life. But everything in life comes at a price. Resolve to do what you need to do to be successful in this life without fear of anything or anyone. Just do it, even if you’re shaking. Take a deep breath. Take the first step. Then take the next step. Taking one logical step after another, until you bring forth what you want. Advancing every day toward your goal without fear of failure. You don’t have to figure out everything all at once. You just have to take the first step and learn from every experience you have in life, correcting your path whenever you realize you’ve off course in reaching your goal. Forgive yourself for mistakes. Remember your goal. To be successful in life, you have to have a clear vision of what you want to accomplish. Write it down. Find your supporters. Creating a clear vision of what you want to accomplish and surrounding yourself with the right people. People respond to great visions. That’s why George Washington was such a great president. He had a clear vision for our nation, he was able to recruit men who shared the vision and he was willing to fight for that vision without a fear of failure. He pulled the best out of his men who often fought without food, clothing and compensation. He did not criticize them when he knew they had done their best. They fought for the dream of liberty without adequate resources. They didn’t win all of the battles, in fact, often they suffered great loss. But they keep on going in the face of failure and that’s what we must do today when failure appears to be holding us back. We must keep fighting for what we want to bring forth in this world. Very few things in life are accomplished on the first try. The American Revolutionary War was not won in the first battle. But we won the war under George Washington’s fearless leadership. They kept fighting in the face of failures. Most great feats are accomplished after years of focused effort. Often the death of great souls has been the price. Think of the courage that was associated with the founding of the United States of America. That’s the courage we need restored today. Courage that had no fear. Courage is required to build American into the land of opportunity for all. Think of Martin Luther King. Think of the many men and women who died for the dreams written into the U.S. Constitution. Equal rights for all. Liberty. Justice. Pursuit of happiness. Inalienable rights for all. Religious freedom. Powerful concepts we must struggle to keep and bring into existence. A strong educational foundation for all citizens. Equal opportunities for all. But writing our dreams on paper doesn’t make them come true. We must follow up our words with action to being our dreams into reality. We must take bold actions without fear today. We must become the best that we can be to make American all that it can be. And American must become the best that it can be, for the world to be a better place for all. The people in each nation must grow to their greatest human potential, for the world to reach its greatest potential. Each individual has a role to play. The world’s symphony will not be the same without your part being played. So figure out what it is and play your part without fear. Everybody is important, so don’t criticize the person who has done their best. Instead encourage them to try again. Nobody’s a complete failure until they quit trying. Confronting one’s fear is the major obstacle that people face when they are not making progress. When you tell yourself that you can’t make it, you can’t do it, you are self professing what you have stated. I can’t stress enough how true your words are and this is the lesson that must be taught early and often to our children. Wow! In the end I got a website from where I know how to genuinely take helpful information concerning my study and knowledge. I’m getting my information from my life experience and research. Then critically thinking about my experiences and what others have to say about a topic. I consider multiple points of view. I try very hard to understand competing viewpoints and what is going on in the world around me. I’m not coming from a fixed, know-it-all point of view. I’m trying to get to a truth that we all know on some level when we read it or hear it. I’m just getting started with blogging and learning. As I learn, I will share. Stay tuned. read this website, and I used to pay a visit this weblog everyday. Back up. Back up. Then back up again. There are widgets available for backing up. Stay tuned … Did you sign up for my newsletter? I’m learning how to add images. Plan to do that for the next post. everything and have fun while doing it. We suggest to get well prepared before joining or creating any clan. Someone essentially lend a hand to make significantly posts I would state. That is the first time I frequented your website page and to this point? I amazed with the analysis you made to make this actual submit amazing. Great task! Thank you. Launching a website is hard work! I simply want to mention I am beginner to blogging and site-building and actually savored your web site. Most likely I’m planning to bookmark your site . You absolutely have fabulous stories. Bless you for revealing your website page. I just want to mention I am very new to blogging and absolutely enjoyed your website. Probably I’m likely to bookmark your blog post . You really come with great writings. Many thanks for sharing with us your web page. Yes!!! Please do share this post. I know I am getting know-how every day by reading thes fastidious posts. info for me. And i am happy studying your article. However should statement on few common things, The web site style is wonderful, the articles is actually great : D.
I just want to tell you that I am newbie to weblog and truly enjoyed your blog. Almost certainly I’m want to bookmark your blog post . You certainly come with really good well written articles. Kudos for sharing your webpage. I know I need to add images to my blogs. Working on it. Getting my information mostly from my life experience. I’m just learning how to blog too!!! I really enjoyed reading it, you might be a great author. I will remember to bookmark your blog and will come back at some point. I do believe all of the concepts you’ve presented for your post. They are really convincing and can certainly work. Nonetheless, the posts are very quick for newbies. Could you please lengthen them a bit from subsequent time? Thanks for the post. Searching for the right length. But sometimes I think less is more. 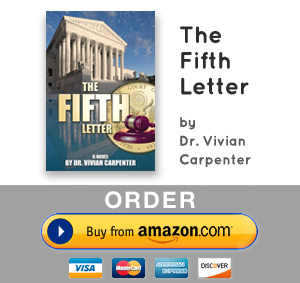 But if you want a deep read of my work, check out my debut novel, “The Fifth Letter” at http://TheFifthLetter.com. It is a 436 page novel that you can dig into. I don’t know why that is happening. Is it still going on??? If so, I’ll have to get someone to address it for me. Sorry. I am responding to over 500 comments now. My website was down for days. Now I have a back log. Hope you aren’t getting all of my replies. Hope you’re not getting everything I’ve approved. Thank you. WOrking on a new article. Stay tuned. enjoyable annd you continue to take сare of to keep it smart. I caan not wait to read mmuch more from you. Thhis is really a wonderful web site. My websites were down for a few days. I think we are all having problems. SyszO4 Wow, awesome blog layout! How long have you been blogging for? you make blogging look easy. The overall look of your web site is great, as well as the content! idea of a uѕeг in his/heг brain that Һow a սsеr cаn kno it. So that’s why this artgicle is great. Thanks! Thanks for sharing my post with others!!! Thanks for any other informative website. Where else could I get that kind of information written in such a perfect means? I’ve a mission that I’m simply now working on, and I’ve been at the glance out for such info. I simply want to mention I am very new to blogging and truly enjoyed your web-site. Likely I’m want to bookmark your blog . You surely come with amazing articles. Many thanks for sharing your webpage. Thank You. Hoping you will take a look at the website for my novel http://www.TheFifthLetter.com. I’ve developed this website myself. Still learning how to make it more inviting and informative. The information and facts mentioned inside the post are some of the ideal readily available.